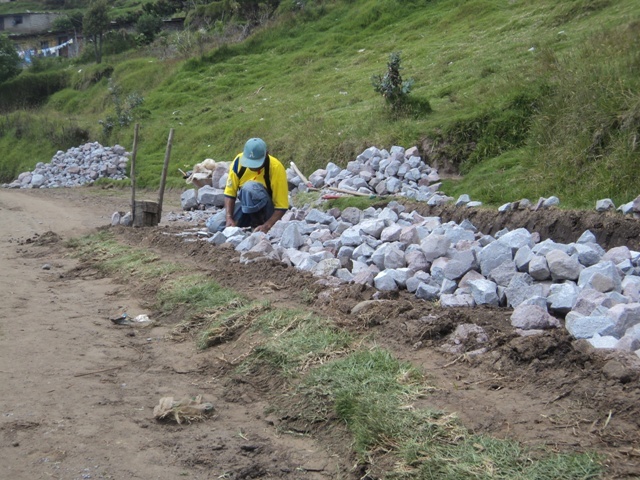 Marco Nyffeler, the head of the project, decided to construct a stone street. Some parts are already finished and we hope that everything is finished soon. The Problem is as usual the money. 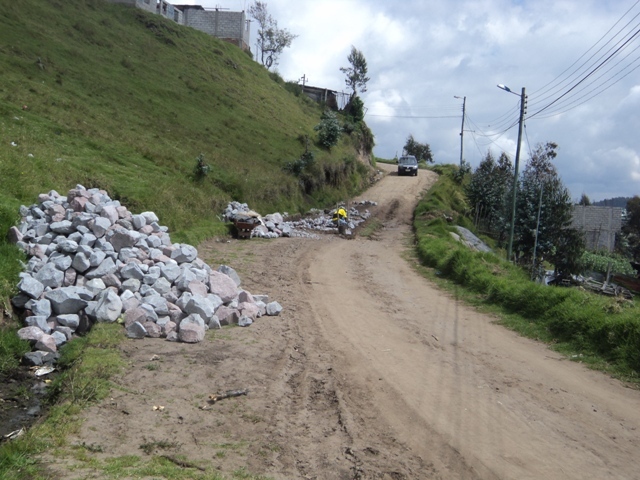 Stones and workers also cost in Ecuador, right? The foundation engaged an 80 years old man, José Antonio Llerena, 8.4.1930. The construction of stone streets is more than just his job; it’s like his mission. He works more or less 8 hours per day. Why? Without work, also in his high age, he couldn’t survive. He gets a small rent of about 30 dollars per month. That’s nothing, not even in Ecuador you can live on that. He doesn’t have a family as far as I know. The Kids are grown up and live in other parts of the city/ the country. They don’t have money either and an own family. Such a street is quite expensive. Señor José Antonio Llerena gets 2$ for one square meter. Therefore there are days he doesn’t earn anything as he doesn’t get paid for the hours but for the results. The street is going to be 2.5meters wide and about 600 m long. The whole street costs therefore about 3’000$, without material. The city council donates the stones but you have to wait for them for a long time and it costs a lot of patience. “Many times I thought it would have been better to buy the stones myself, would be faster. “-Marco Nyffeler. My grandfather and turned 80 at the 15th march, 2011. On the occasion of his 80th birthday he donated to the foundation “Minadores de Sueños”. From 80 to 80, that was the message behind this gift. Two man, couldn’t be any different. One is from the lowest class from South America, the other a manager of an insurance company. Thank you very much. You really helped us a lot. This street isn’t only helpful in emergencie but also brought new life in our quarter. On Sundays you can hear cars at 7 o’ clock in the morning. Who wants to change his gas bottles? “In such moments I wish this street wouldn’t exist.” means Marco Nyffeler. You can see that this street is enrichment in many parts. Building this street took us more than a year. We are slowly getting to the end. 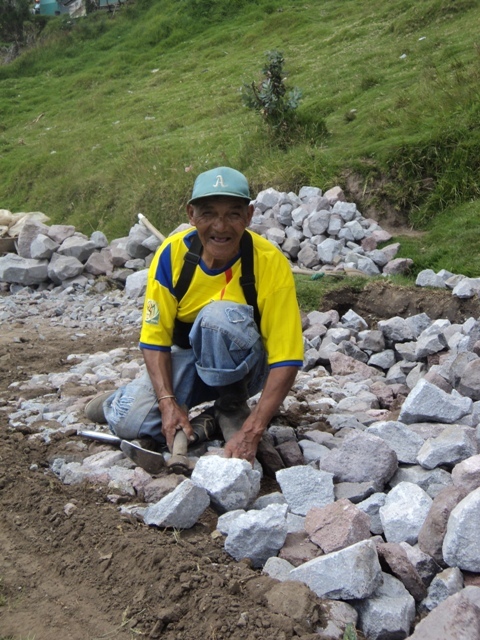 The locals of “Rancho los Pinos” have to maintain it after finishing. Marco Nyffeler doesn’t wan it to be „his“ street. They have to take on responsibility.